As dry season is happening in Indonesia, this will also be followed by annual forest fire. This forest fire also happen in Tanjung Puting National Park, Kalimantan central. 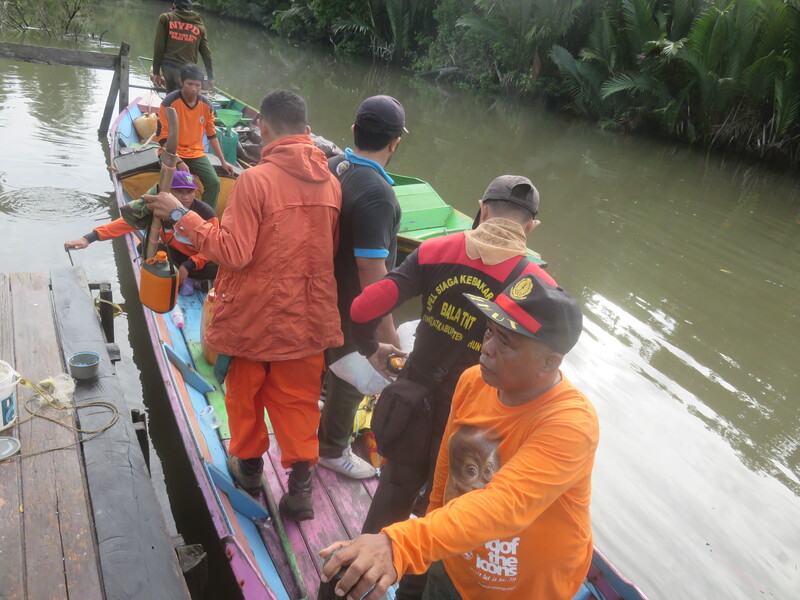 Commited to protect the area of the national park since 1992, FNPF Kalimantan fire fighting team worked together with national park’s staffs to control the fire that happens this year. One of their recent activity is the annual ground check to the forest. Every year, our team monitor the hotspot that is shown from various satellites data. On the 14th of August 2016, the team has found 1 hotspot in Arut Tebal (Area of Tanjung Puting National Park). On that day, FNPF staffs and and local volunteers assembled to discuss about the problem. On the next day, the 15th of August 2016, 1 staff and local volunteer also with several national park’s staffs depart to Arut Tebal to check the location. They also bring their jet shooters (standart equipment to put down fire). 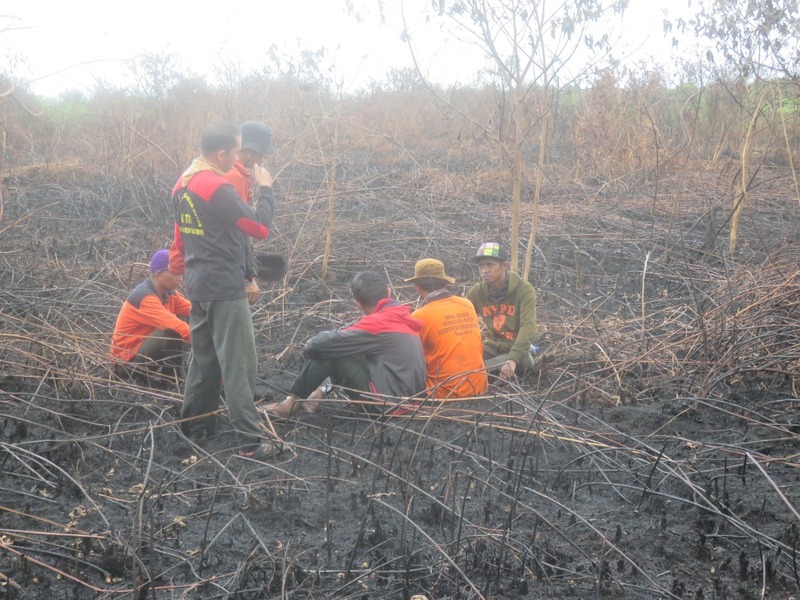 As they arrive to Arut Tebal, they found the location burned of around 9 hectares, also with some villagers who was suspected to have set the fire to the land for hunting. Luckily, before fire spread out, heavy rain came to put it down. Mais malheureusement,, the suspected villagers got away before the national park’s staff can caught them. The fire fighting team stayed there until the 18th of August 2016 to make sure that there was no more fire. Right now, our staffs always monitor from the satellite data if there are new hotspots. Aussi, our staffs on several FNPF worksite also monitoring straight from the field.